So how can families make sense of the process and ensure that they are making the best choices for their children's education? 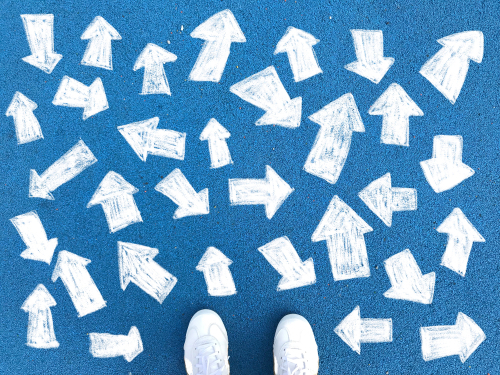 Beyond the more obvious considerations of tuition and class-size, there are environmental and programmatic questions that every parent can ask to get a better picture of their school options. School culture and community are of the utmost importance; not only for your child's happiness, but also your own satisfaction as a parent. How do my child and I feel while in the building? How do staff and students interact with us and each other? What cultural elements are important for me and my child in an educational environment? Are these present? How can parents volunteer and be involved in the community? What opportunities for social interaction outside of school exist for the parent and student communities? There are as many approaches to education as there are schools. Finding the approach that resonates best with your child is key. How does the school describe its approach to learning? What is its mission and vision? Have I done my own research on this model of education? How is this similar or different to my own K-12 education? Does this approach fit what I know about my child's learning style and preferences? How will this approach appropriately challenge and support my child? How does this approach accommodate social-emotional learning? What role does standardized testing play in this approach to learning? How have the school's teachers been trained in this approach to learning? What kinds of professional development are available to them? Are teachers and staff passionate about this approach? School design and safety are paramount in finding a best-fit. Studies show that a student's classroom environment is as important to learning as the programming itself. The best modern school spaces consider things such as inclusivity, safety and security, technology integration, adaptable furniture/multipurpose spaces, and outdoor learning. Does the feel of the school environment match the approach to learning? In other words, is it in keeping with the mission and vision of the school? Will my child and I feel safe and at-home in this physical environment? Will my child have the educational space, resources, and tools that I wish for them to have? Will my child have opportunities to experience the outdoors, the city, and beyond? Of course, we know that there are numerous other factors to consider when choosing a school. To help you lay out all the facts and make a more-informed decision, we created these downloadable school decision worksheets. Find out more about Bennett Day School's approach and see whether we're a best-fit school for your family by joining us at an information session!